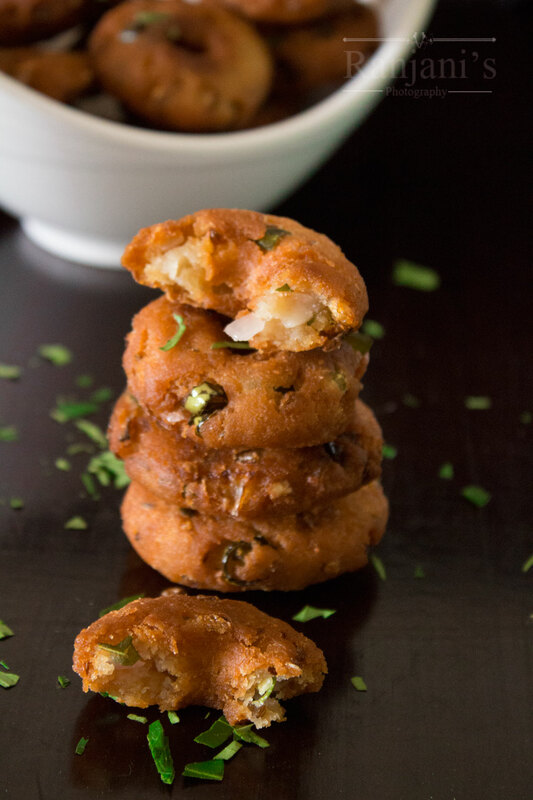 instant bread medu vada to serve with coffee or tea as evening snack. Bread vada recipe – easy snacks using bread. It’s a medu vada textured snack. But you can make it instantly. The addition of onion, green chilies, ginger adds spiciness. Addition of rice flour and curd gives perfect crispy medu vada. 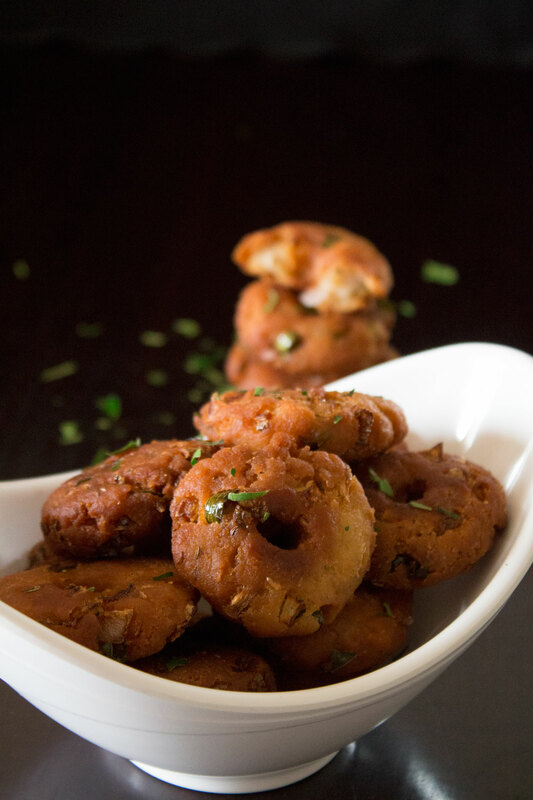 I am sure you will love this hot vadas in this winter weather. If you have leftover bread slices, just make it instantly and enjoy with a cup of coffee or chai. We can make this crispy bread vada recipe using any bread variety like wheat bread, multi-grain bread, potato bread etc., the taste of vada varies depends on the bread variety you use.this vegetable bread vada is best to have with sambar or chutney. We can also make masala vada using bread. I try to post that recipe asap. Now enjoy this most indulging bread vada recipe. Below is the stepwise pictures of how to make bread vada recipe. Crumble bread slices, add finely chopped onions, green chilies, ginger, rice flour, and salt. Mix well, add curd and mix together. Add water little by little and knead to a soft dough. Pinch a small portion, flatten it using palms and make a hole in the center. Do the same for remaining dough and place it on a plate. Heat oil in a kadai, once heated, keep the flame medium and fry the vadais to golden brown equally on both sides. Place it in a kitchen towel to remove excess oil. instant and tasty.Thank you for the post. Wow… These are looking so crisp and yummy. Sounds like a really great snack. I love to try it tonight.